This is a rectangular Duke’s Mixture porcelain sign. 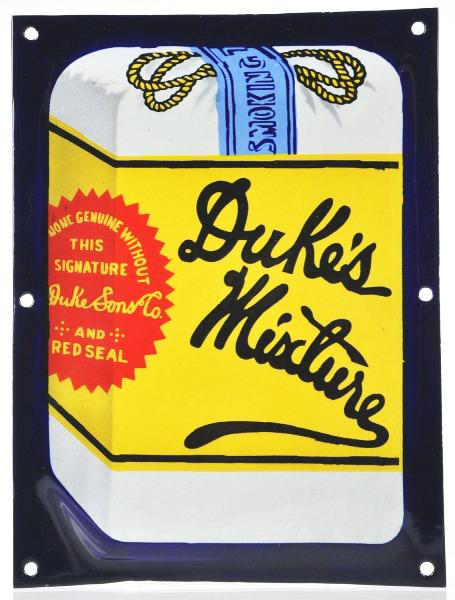 This particular Duke’s Mixture sign features a white bag of Duke’s Mixture against a blue background. It reads, “Duke’s Mixture, None Genuine Without This Signature and Red Seal”.